Interested who would win in a fight Python Vs Anaconda? The Reticulated Python and the Anaconda are the largest snakes in the world. Anaconda is more massive and heavy while the Reticulated Python is longer and faster. The thing that truly sets them apart is their behavior. But who would really win? As long as anaconda’s dont find that “red flower”, Ret. Python will swallow ’em whole! is much heavier and stronger but reticulated python is a little bit longer and faster but not so strong as anaconda! As long as they live in two different regions, and as long as they have never faught one another before; we must compare their abilities and then, make a judgement. Anaconda is heavier, larger in diameter, and stronger. On the other hand, the Reticulated Python is longer, faster and more aggressive. here, the battle may sound to be in favor of the Anaconda, but we must keep in mind that the Python has had deadlier battles against stronger enemies than the Anaconda and survived. Anacondas are killed by jaguars, but Pythons enemies, however, are the Asian tigers, that are stronger than the jaguars, and to top it off, most of the time the tiger ends up in the snakes stomache. Strength doesn’t determine the winner as much as battle experience, just like when u put the world champion in heavy weight lifting in a wrestling battle with the Rock, after all, the Rock would win. 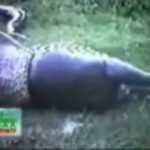 Que tal amigos , ,solo quiero dejar un mensaje bien claro para informarlos bien , si bien es cierto que los jaguares han matado anacondas grandes,en la india los tigres machos adultos han matado pitones reticuladas de 9 o 10 metros y no se han registrado casos de que la pitp0n haya matado y engullido un tigre adulto , leopardos si pero tigres no , los tigres matan pitones de cualquier tamaño si se cruzan en el camino sobre todo si son tyigres machos ya que las hembras evitanm los confictos , la anaconda es mas rival para el tigre que la piton , en libros , especiales por tv y los mismos indigenas indios han informado que el tigre mata pitones reticulada<s de darse el caso. Anaconda would win becauce the teeth come backwards and Retic would be too tired. Both snakes would be ehausted. Eventually Anaconda wins. they are so big they can eat you. 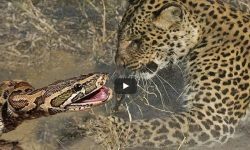 I think it is not possible to compare the two because even though pythons kill tigers, jaguars are much better hunters and kill prey that is much bigger than itself. Jaguars have the most powerful bites of all the cats, i think a jaguar will eat a python the same way he eats anocondas. 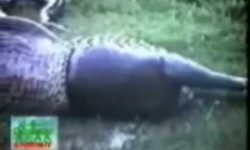 Jaguars kill and eat giant anteaters and piccarias which are very deadly animals so i think a jaguar will kill and eat a python. JLO will kill an anaconda. Did you’ll see the movie? 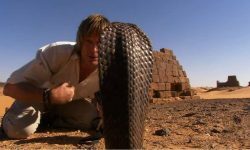 can 15 feet phyton kill a 12feet croc?… yes it is possible…. DUH!!! python. they are harder better faster stronger and way more aggressive. As the vid said u can catch a anaconda with bare hands but not a python. I by pure luck, I have two pet snakes (anaconda and python) measure the same and holdings of the same age (the piton is more old than the anaconda for four months) and once try to fight them and the first that attacked was piton but the anaconda curl it and was about to kill her and had to be separated. If Anaconda is massive & stronger while a Python is faster and longer.Chances are Anaconda would win the battle,though a Python might have an advantage with its length and speed. Ooh,man, heavy colation,So much weight wu giv no time to react fast.funny,i wu rather go against the anaconda than the reticulated python but I am 100% sure,I cu bet everythin that the “ANACONDA”will destroy,I mean demolish the reticulated python.Yes,have seen it. first, anaconda and retics are not largest snakes.. I far as I know retic places third from the largest snake of the world. i mean, not the largest snakes. Duh?! 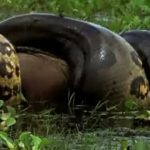 Anaconda will win for sure,because with its strength and weight can crush the pythons bones and Anacondas are way more better in constricting opponents, so I’d go for anaconda. O FATO DE UMA ANACONDA SER MAIS PASADA ELA TERA VANTAGEM SE ELA ENCONTRAR UM PYTON. Python would win.Python has more speed,many teeth,and long body. Pythons aren’t any faster than anacondas. I’ve worked with each of them for nearly nine years now. If anything, anacondas are slightly faster. If not in terms of overall speed, then in terms of reflexes. Another thing that bothers me is how people think that jaguars succeed in bringing down anacondas often. It happens, but rarely, and never with an adult anaconda. If people are actually curious about “Which would win, an anaconda or a python”, here’s my opinion: An anaconda would kill a python, but the python would probably initiate the fight, as they are overall more aggressive. However, pythons aren’t stupid, they probably wouldn’t try to fight an anaconda. So overall, I believe that an anaconda would kill a python, as they are thicker, stronger, and (in a way) slightly faster. There are a lot of people in this forum who either can’t type or don’t have a full grip on the English language. Anyway, An anaconda would win this fight. It would be a battle of 2 constrictors. Constriction (squeezing) requires strength. The anaconda and the python are pure muscle. But, the anaconda is more massive thus more muscle. Speed is really not a major factor when the battle is about grabbing and crushing your opponent. Anaconda wins! 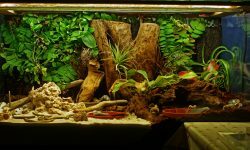 The second tank does not need to be fnreishud or heated. In fact, I use a sterilite or rubbermaid container with a locking lid to feed mine in. It’s a lot easier to stick in a closet when not in use. 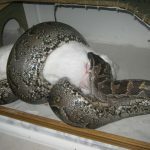 As far as how long to leave the snake in there goes, assuming you are feeding frozen/thawed, a few hours is ok before you run the risk of the rat starting to rot. I wouldn’t leave a live rat in there unsupervised because you run a risk of the snake being bitten. 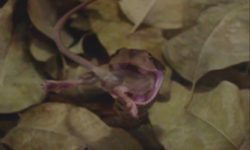 If the snake hasn’t struck at a live rat within 5 minutes, chances are it’s spooked and will not eat that day. I would like to thank you for the initiatives you have actually made I, n creating this post. I am wishing the exact same best work from you in the future also. As a matter of fact, your imaginative writing abilities have inspired me to begin my very own BlogEngine blog currently. Actually, blog writing is spreading its wings quickly. I obviously valued breaking down your blog site. It came to be incredibly all over created as well as also fundamental to catch. disapproval unique on the internet journals I have really searched which can be as a basic standard says goodbye to that excellent.thank you a great deal! I simply lately discovered your blog site, in addition, to have really been reading along. I believed I would definitely leave my extremely first statement. I do not recognize what to state other than that I have in truth taken pleasure in the assessment. Excellent blog site.